A Christmassy good morning from hot and humid summer’s day here in Hastings. Ailsa from Where’s my backpack? has given us the challenge of posting our selfies. I thought I would bite the bullet and show a selfie that I have been working on for a couple of days. I took this photo using the YouCam MakeUp app on my phone. It enhances your selfie – you can even put make up on etc. It can alter the shape of your face, but not wobbly chins so I then superimposed my selfie onto another image taken last Friday so it looks a bit creepy I must admit – I seem to have a bauble as a beard. But at least no wobbly chin. 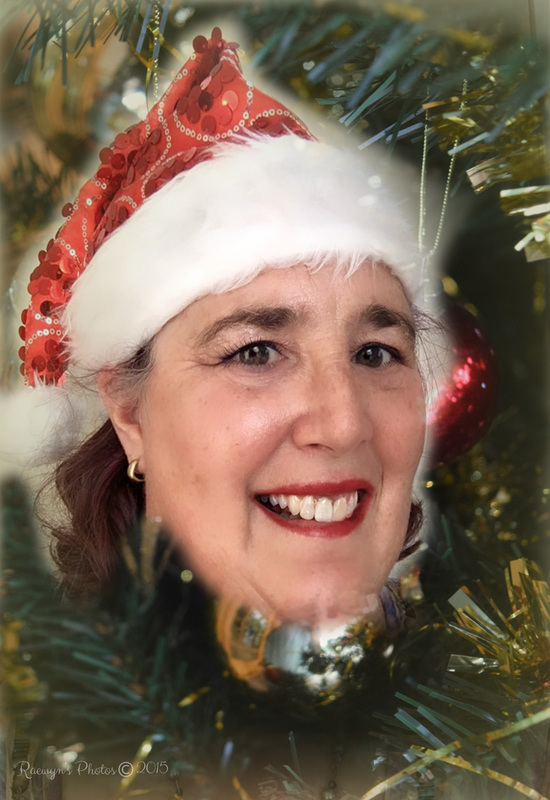 I have changed my photo on Facebook and got called Mother Christmas – what do you think? That’s fab! Everyone should have a Raewyn bauble on their tree! Thanks Esther – that app smooths out the wrinkles and gets rid of all the age spots. I have just had my tooth screwed in (implant) so now I happily smile to everyone – might look scary for some, but I am so happy to have a full mouth. This is a lovely photo Raewyn. We are just really starting to embrace our outdoor lifestyle at Christmas. Growing up it was an English roast – all the trimmings, getting all steamed up over a hot stove in the middle of summer. Now most people have bbqs – or cold meat and salads and spend time at the beach.